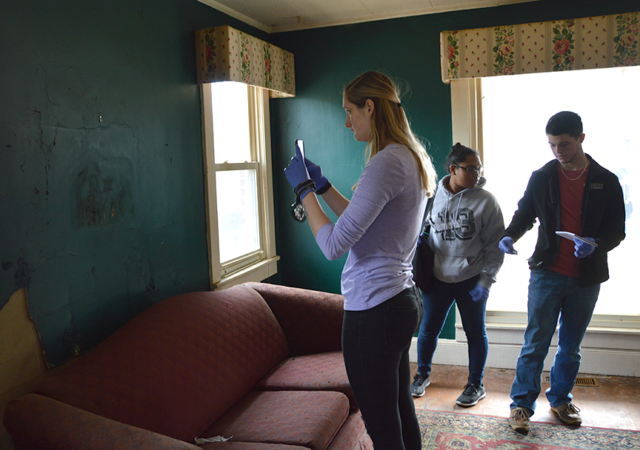 In an old and dilapidated brick house, bloodstains drip down a mirror. Yellow caution tape waves in the breeze. 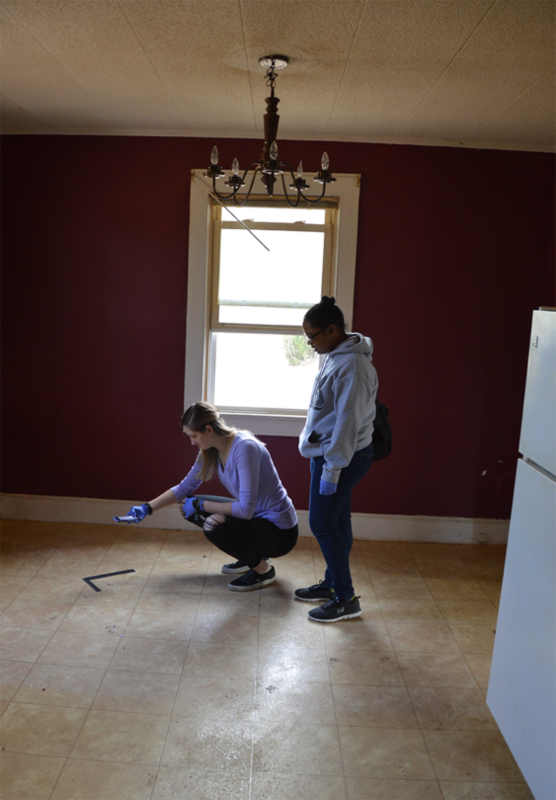 Investigators pace the floorboards, measuring the distance from an empty six-pack to the bedroom, where cold air flows through a wide open window…. The investigators are Introduction to Forensics students and the “bloodstains” won’t lead them to an actual murder victim. 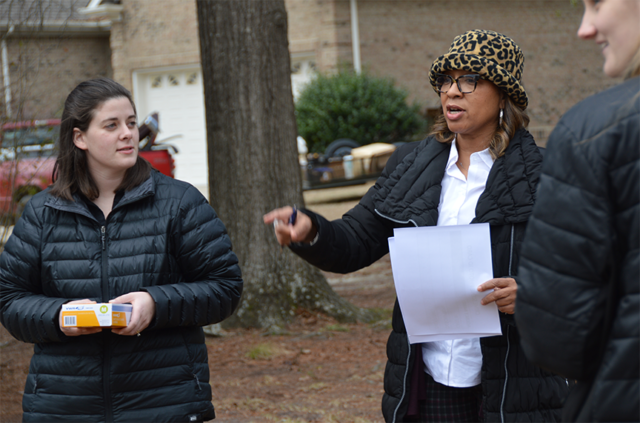 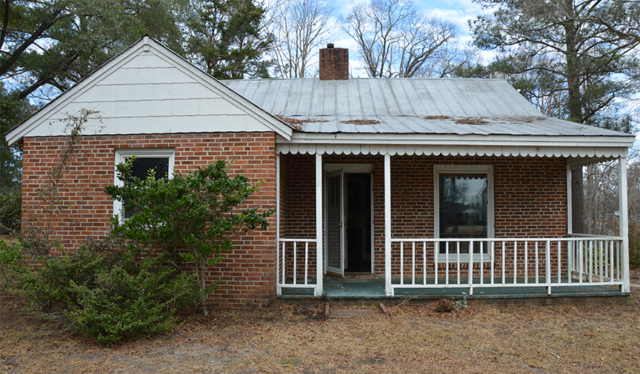 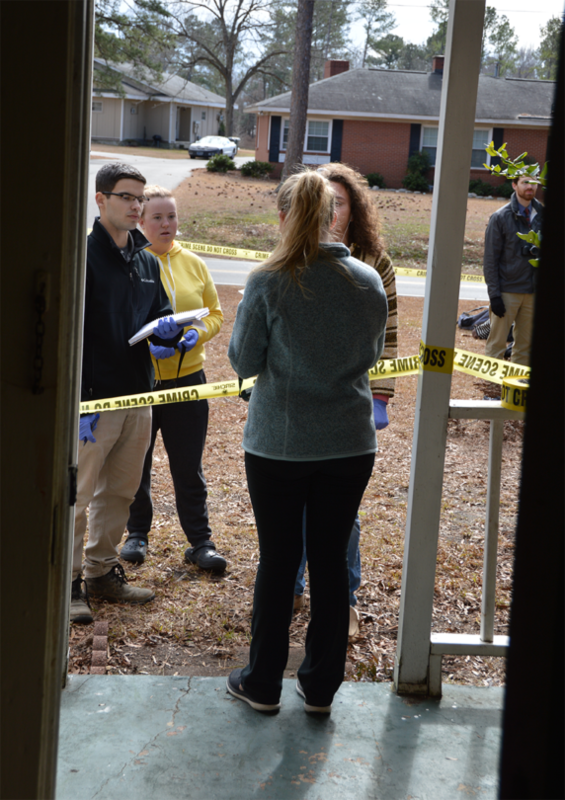 But the house has been carefully set up by experts from Campbell’s College of Arts and Sciences to teach students the critical thinking skills required of forensic investigators. 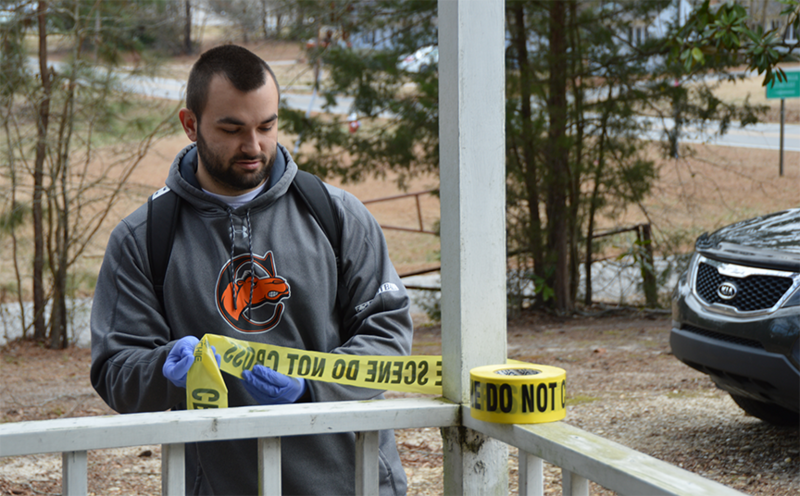 Marion Vandergrift of the Criminal Justice program led 16 students through the mock crime scene for the first time on Monday. 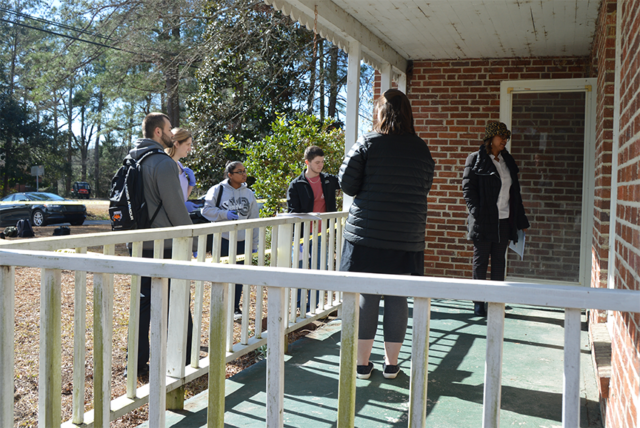 Over the course of the semester, students will learn to collect evidence, perform chemical and microscopy analyses on liquids and learn about the biological processes of death and decay. The mock crime scene was made for students several weeks ago by Stephanie Mathews and John Bartlett of the biology department and Jordan Womick of the chemistry department. The professors combined their laboratory expertise with Vandergrift’s investigative experience to create a believable scenario. 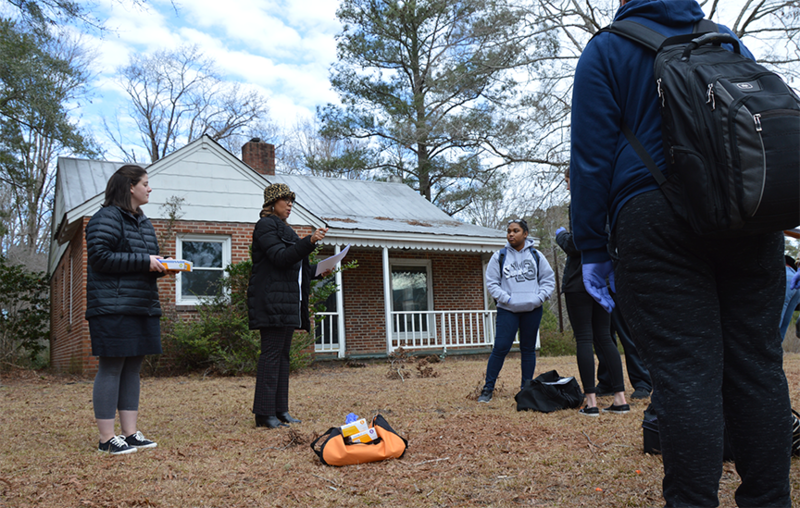 Vandergrift is retired from the North Carolina State Bureau of Investigation, where she worked to assist local agencies in criminal investigations. 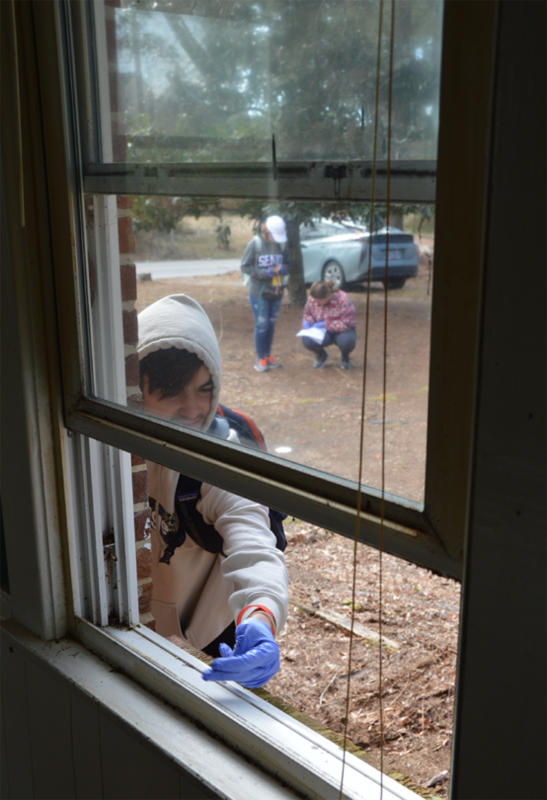 Students will don rubber gloves again today on one final walkthrough the mock crime scene. 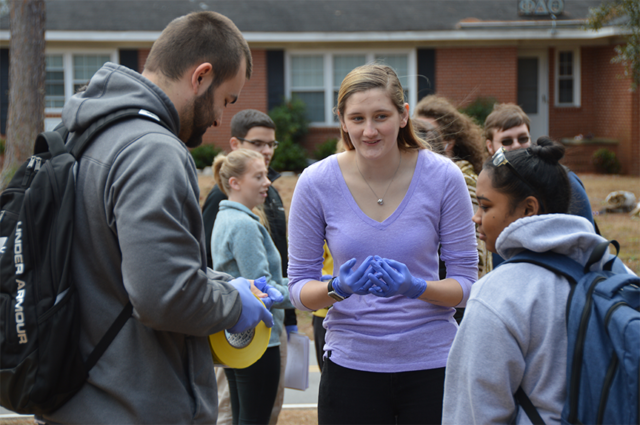 After that, they’ll be in the lab, working with the materials they collected in the chemistry and biology units of the course. 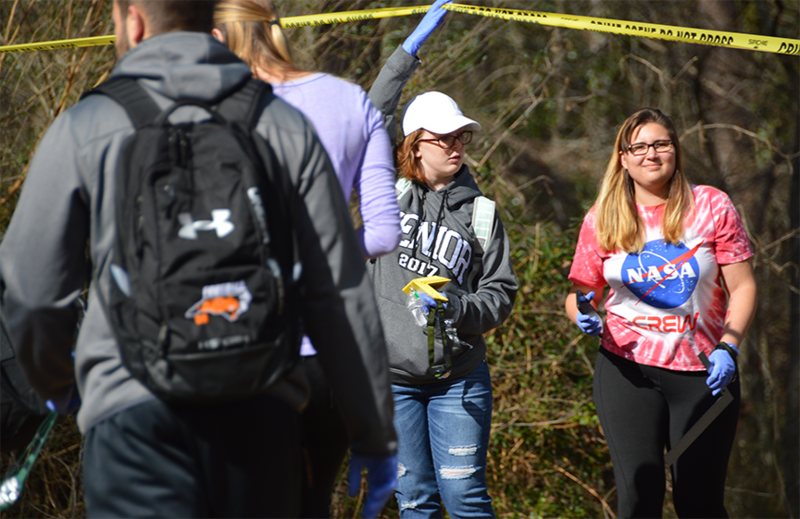 Introduction to Forensics fulfills a science requirement for criminal justice students who would otherwise have taken a typical intro-level biology course, according to biology professor Stephanie Mathews.